WOW!! One of the best lots around with spectacular views of the mountains and sunsets. This almost-new home is amazing both inside and out. Upgraded kitchen with a HUGE center island, cherry cabinets with pull-out shelves, and stainless appliances. 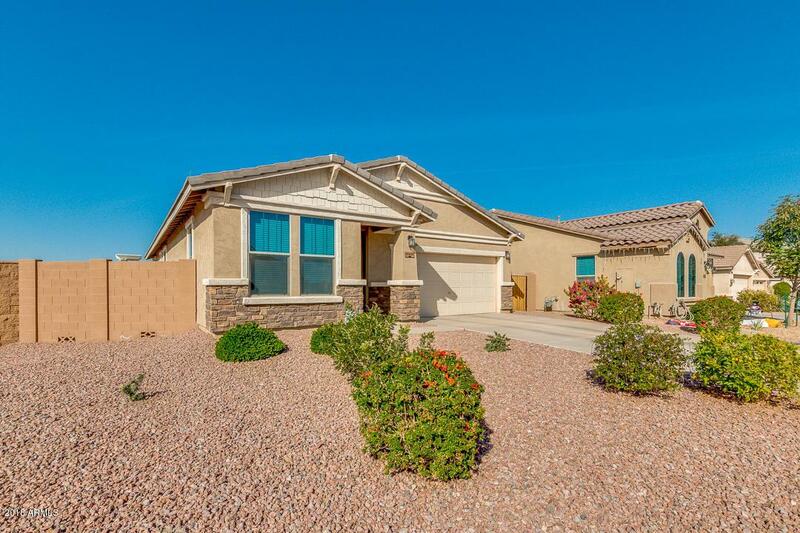 Neutral 2-tone paint throughout, every room has 2-inch blinds and ceiling fans, and the washer and dryer also convey. Tile everywhere but the bedrooms. Impressive curb appeal with stone accents. 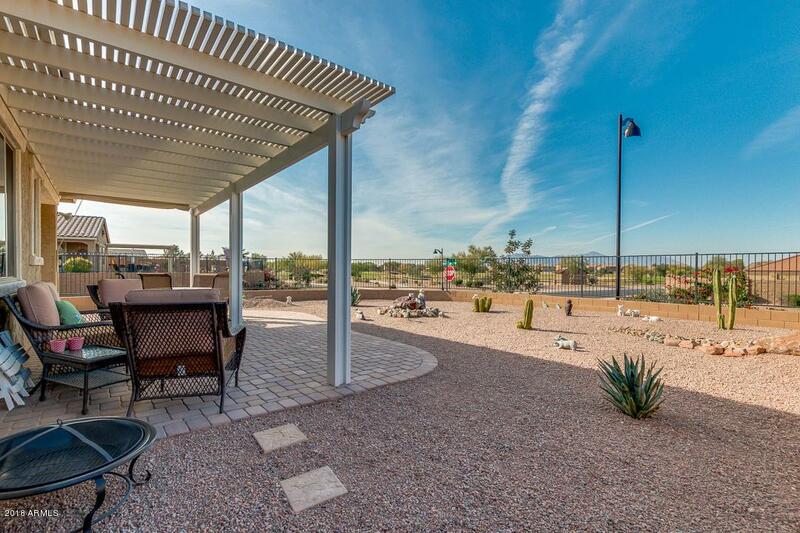 The backyard boasts an extended paver patio with pergola covering, built-in BBQ w/ grill, and a soothing fountain. 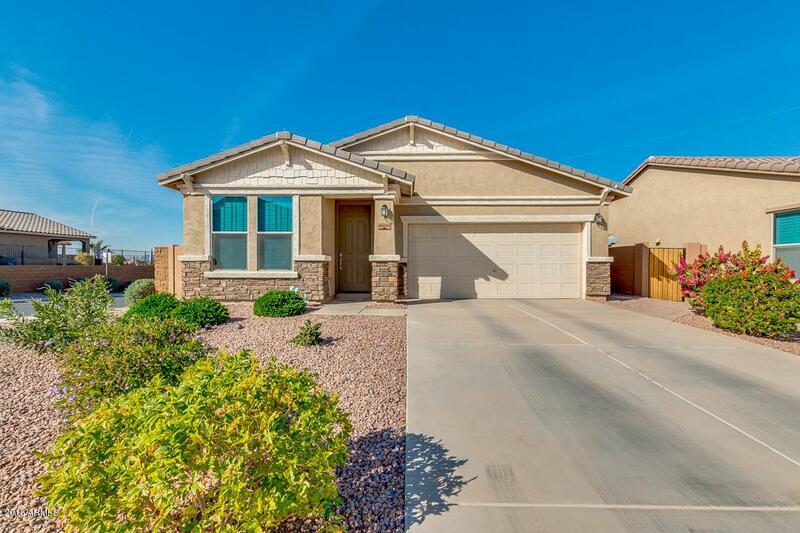 The home sits on an elevated corner lot with view fencing, so you can see the golf course but don't have to worry about golf balls or a lack of privacy. 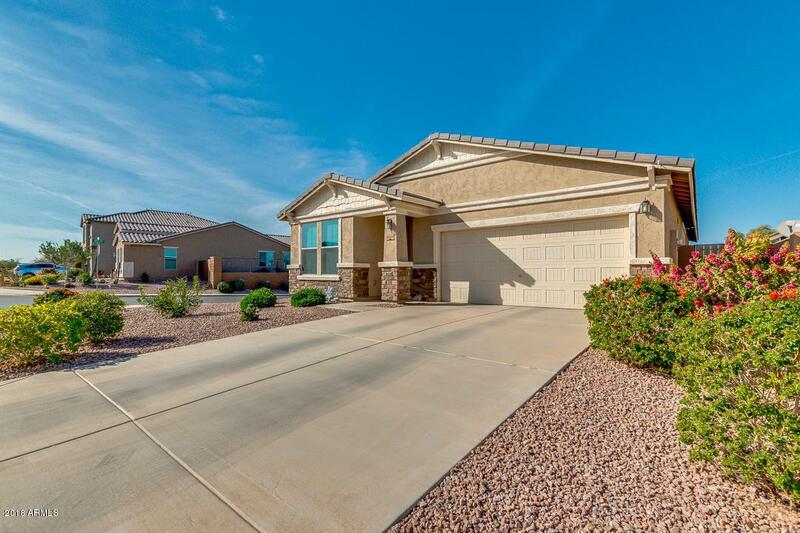 Homes like this are extremely rare so take a look today before it's gone!